This nine patch quilt tutorial is a great technique for beginner quilting. kind of like mass production. 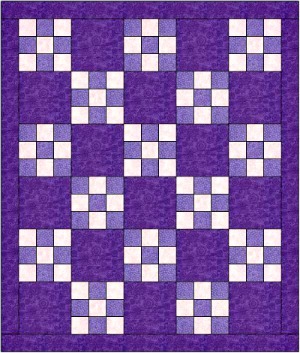 This quilt idea of joining squares or triangles can cut your time dramatically. It is very fast and easy. 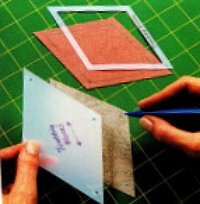 You can use any size square from 2-inches up to and including precut charm squares which are between 5 and 6 inches in size. Using charm squares most likely will produce a scrappy looking quilt as there will be many versions of light and dark fabrics rather than just two like ours; one dark and one light. 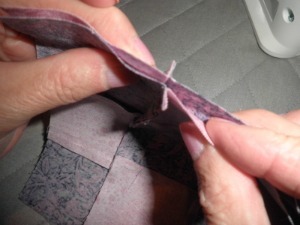 With strip piecing we use the rotary cutter and the skill of sewing a straight quarter inch seam. Master these two techniques and you are well on your way to becoming a quilter. 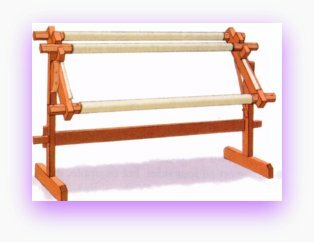 In the mid 1980’s the mat cutting tools were introduced to quilters. Once the rotary cutter was introduced there was no stopping the introduction of easy and simple quilt ideas . As technology advanced, quilters found easier and faster ways to quilt. 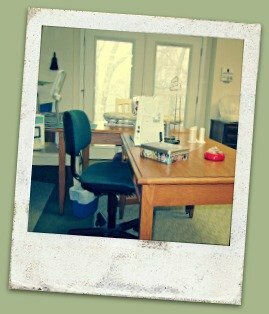 You can see why the nine patch quilt tutorial became even more important in the quilting world. Of course, all quilters then and now has to learn how to use what can be a very dangerous tool. So please take a few minutes to educate yourself on the tools you will be using for this nine patch quilt tutorial. Cut the pieces from the strip sets using a rotary cutter and ruler. For our nine patch quilt tutorial we purchased 1 1/2 yards of dark fabric and 5/8 yard of light fabric. For security, most quilters buy a quarter yard or so of extra fabric and add it to their stash if they don't use it. This nine patch quilt tutorial will measure approximately 35 inches by 40 inches using 6 inch squares and a 2 inch border. 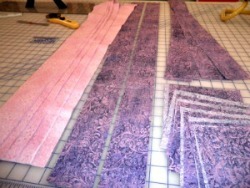 First we cut four strips 2 1/2 inches wide the length of the dark fabric for the borders. Note the fabric is folded in half so in essence you are actually cutting 2 strips of fabric at one time. Once cut, set these strips aside to make sure you do not accidentally use them. Next from the dark fabric cut two strips 6 1/2 inches wide the length of the fabric. 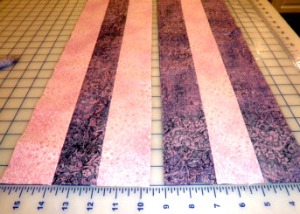 This strip is to be used for the plain blocks in the quilt. 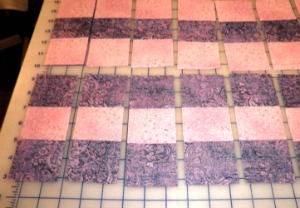 Cut again into 6 1/2 inch squares. A total of 15 squares will be needed. Finally we cut four - 2 1/2 inch wide strips from the dark fabric and eight - 2 1/2 inch wide strips from the light fabric to make the individual strip sets (new phrase). 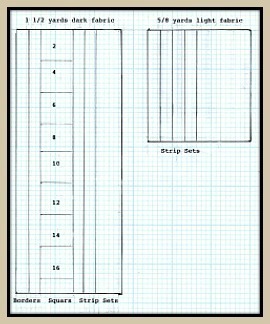 See diagram for an exact cutting layout for strips. Lay a ruler along the vertical line and another along the horizontal edge and trim off the uneven edge of your fabric so you start with a perfectly aligned edge. You can also use a "carpenter's" square. Just be sure it is pristine clean so as not to get your quilt off to a wrong start. I found mine at a yard sale. It looks tacky but it works great! When the fabric is out of square you will see at the middle of each strip a slight hump with the ends bending down. The visual will help you understand so as to avoid the bends and fix the problem before you do any cutting. 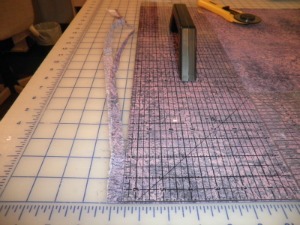 The trick is to square up and then keep the ruler from slipping when you "stretch" to cut the strip. enviably the ruler will slip! Go to Squaring up the fabric. For convenience, cut the length of the dark strips in half to match the approximate length of the light strips. The dark strip will be longer than the light strip. Lay your strip sets out as we have done in this picture. The stack on the left starts with a light strip, followed by a dark strip in the middle and the final strip is dark. The next stack on the right starts with a dark fabric, followed by a light strip in the middle and finally one more dark strip. You will have two unique stacks. We are now ready to stitch the strip sets together. Sewing straight and accurate quarter inch seams when joining the strip sets is very important. To accomplish this, follow the guide on your sewing machine for a perfect quarter inch seam; or purchase a quarter-inch foot that is unique for your sewing machine. For our nine patch quilt tutorial we put together another visual for the proper way to press all seams. ...press toward the darkest fabric which prevents the seams from showing through to the right side. You are also preparing the way to match seams as you advance with adding more blocks later. Start by laying a light strip on top of a dark strip, right sides together, and make a perfect quarter inch seam the entire length of the two strips. Then lay the third strip on the joined first two strips and sew it to the set. You now have a three-strip set. Caution; do not mix up the layout. It is important to keep the strips in the right order as you sew. Repeat this process until all the strips sets have been sewn together. Then press all the strip sets with the seams toward the dark color. Chain stitching simply means sewing like parts together, one after the other, without raising the presser foot at the end. Simply glide another like part under the presser foot and keep on sewing smoothly and easily. 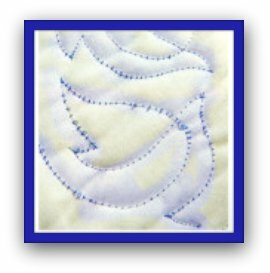 For a more detailed description take a look at our Quilting Instructions for chain piecing identical parts which makes sewing quarter inch seams easier and faster. 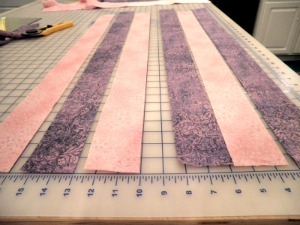 Once the long strip sets are joined together and the seams have been pressed, lay each strip set on the cutting board and cut the strips into sub sets (new phrase) of 2 1/2 inches wide. We are now ready to create our design by laying our sub sets out to form our particular design. In our nine patch quilt tutorial the block design has a light color on all four outer corners or a dark color on all four outer corners. This is how you want to lay out your sub sets for sewing together. There will be 7 of one block and 8 of the other. Be sure you are seating all of the seams and pin if necessary. Your intersections must match when sewn together...can't be off even slightly! To match the seam intersections hold any two sub sets together and then slide the seam allowances in a back and forth motion until you feel the seam drop into place. One seam will be on the left and the other will be on the right. Pin if necessary and stitch. You should have 15 nine patch quilt blocks and 15 solid blocks. 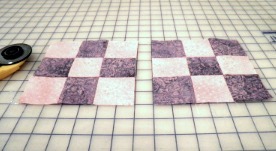 For our nine patch quilt tutorial all our units will measure 6 1/2 inch square, unfinished. Do a spot check on several of the blocks to be sure. We say unfinished because you still have raw edges.This block will measure 6 inch square, finished, once all the blocks are sewn together. Now is the time to use your design wall to follow the layout to make sure the placement of each row is correct. It is real easy to get mixed up at this point! If you don't have a design wall you can build one real easy. Here, take a look at our Quilt Design Wall. Once you have your blocks the way you want them you are ready to sew the blocks into rows. Here you will alternate the nine patch quilt block with a solid block. Sew the blocks end to end alternating a nine patch block with a solid block to form the rows. Repeat this until you have six individual horizontal rows. Once you have formed the six horizontal rows, join row one to row two to start building the center panel. Put the joined row one/two back up on the design wall so you don’t forget where it went in your lay out. Press each row with the seam allowance to the solid block. Join together row three/four; press the seam and place back on the design wall. Repeat with row five/six. You can now join row one/two to row three/four and then to row five/six. Congratulations! You now have a baby size center block done! In this nine patch quilt tutorial we touch on how to add A Simple Border to frame your quilt. Your borders can be as simple or as elaborate as you like. They can also be any width you like. Here take a look at some of ours Quilt Borders. 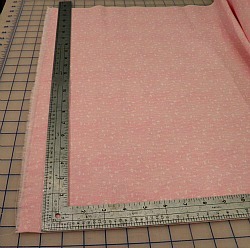 The first thing to do when considering borders is to measure all four outer parts of your quilt center. Write the figures down. Look at the top and bottom figures and take an average of the two figures. Cut your top and bottom border to match this figure. Hopefully we will not be dealing with much more than an inch or two. Next, place a pin at the center of both the border strips and the quilt center outer edges. Because this is a small baby quilt we don’t need to break this down into quarters. But you would for a full size quilt. Now, pin base the top and bottom borders to the outer top and bottom quilt edges matching the center of each and easing in the quilt to fit the borders. When you are finished your top and bottom borders will be exactly the same. Now do the same for the two remaining side borders. Be sure you take into consideration the width of the top and bottom borders you just added. 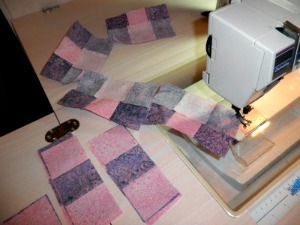 This process will correct the problem of having an out of square quilt. Your quilt is still out of square but others will not notice it at all. Only you and I will know. Practice and experience makes this problem go away. This nine patch quilt tutorial is ready to have the batting and backing added and then quilt it either yourself or have it done. 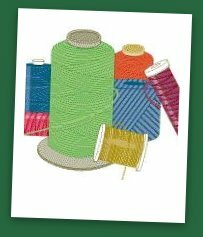 Alice at quilting-tidbits offers that service. 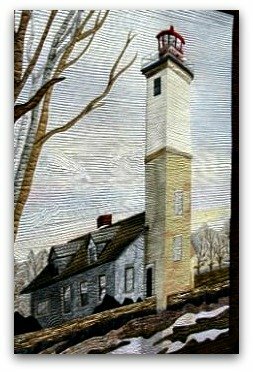 Take a few seconds to view some of her original Longarm Quilting Patterns. 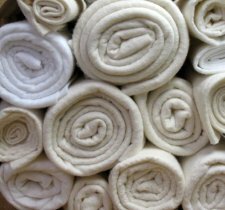 If you plan to do any Hand Quilting you can take a look at a few tips that can make this task a little easier. 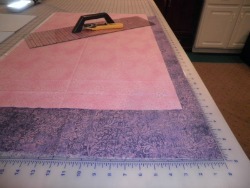 Once your quilt is quilted you are ready to add the binding. Let me show you another fast and easy technique for Binding a Quilt. Congratulations! this learning sampler will make you a beautiful baby quilt. 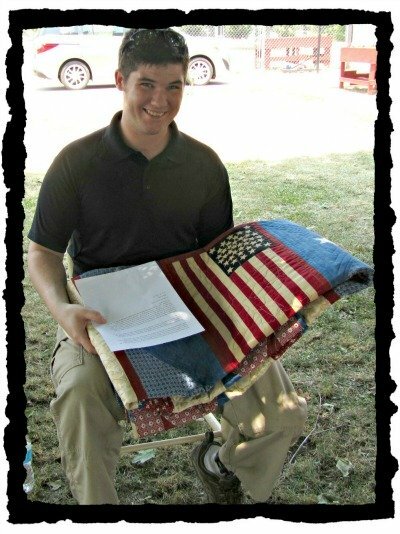 NOTE: To receive this Free quilt pattern, just sign in with your secret password on our confirmation page. Remember you must be a subscriber to our e-zine to receive a password. This tutorial will show you all the tips and techniques to be successful with your free baby quilt and the free quilt pattern (which was calculated mathematically) will show you all the measurements and fabric requirements.